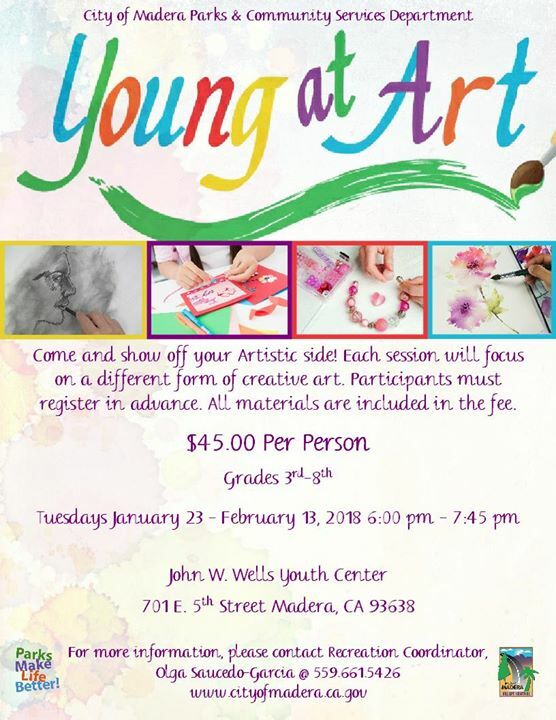 Come and show off your yout artistic side! Each session will focus on a different form of creative art. Participants must register in advance. All materals are included in the fee.